…can do for one’s knitting. Oh, what a wonderful weekend. It all started on Saturday, the first day of the shortened NHL season. My beloved Penguins opened in Philadelphia against the team I hate most, the F^%ers. 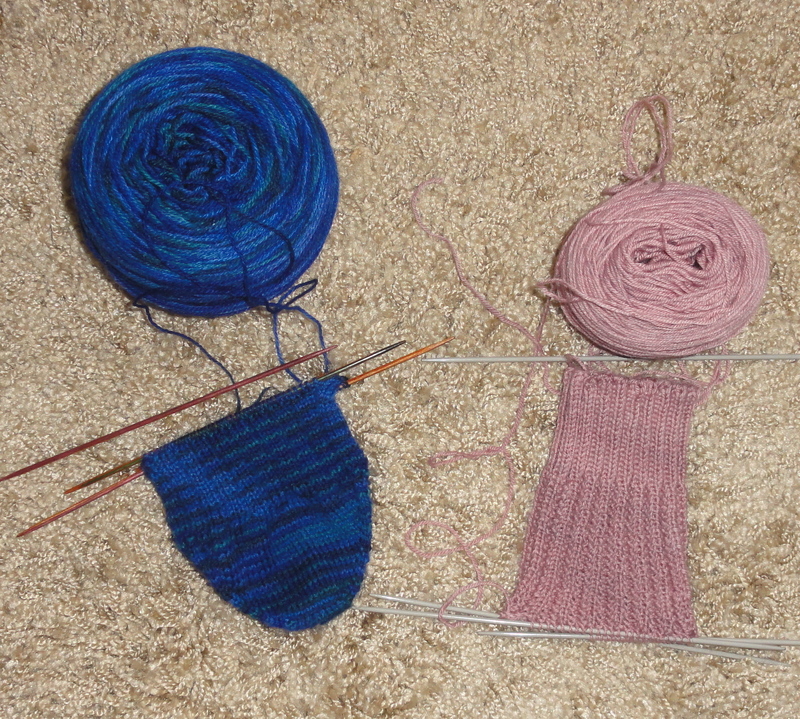 During the game, I finished up the right Blue Yonder Mitt, worked on Super Soft Double Rib sock #1, and even knitted a little bit on the 3 x 2 ribbed socks I’m knitting for the DH in the most gorgeous colorway I’ve ever seen. I didn’t work on the DH’s socks very much during the game, though, because I was afraid I’d break the K-P Harmony needles. I decided it was better to work on projects that are on metal needles. The risk of impalement was lower than the risk of snapping a wooden needle. The game was well played and clean, which is unusual for a game between the Penguins and the F^%ers. There were no bad hits, no fights. The Pens won 3 – 1, getting my weekend of hockey and knitting off to a flying start. I got to watch the Bruins, my second favorite team, beat the Rangers and, thanks to a free-for-the-rest-of-January Center Ice, I watched a bunch of other games, too, in whole or in part. Of course, I knitted almost the entire time, taking only short breaks to give my hands and fingers a rest. Then came Sunday. Things started off early with the Buffalo Sabres opening at home against those hated F^%ers. That game was a double joy because the Sabes, one of the teams I like a lot, won and the F^%ers, the team I hate the most, lost. Have I mentioned that I hate the F^%ers? I then watched some football, the NFC championship game between the 49ers and the Falcons. It was a whale of a game, going down to the last seconds. Then it was time for more Penguins hockey. The team had taken the train from Philadelphia to NYC to meet the Rangers in Madison Square Garden. The Rangers were coming off a loss to the Bruins on Saturday, so they were desperate for a win. But the Pens were more than they could handle. Pittsburgh 6, New York 3. More knitting was done. 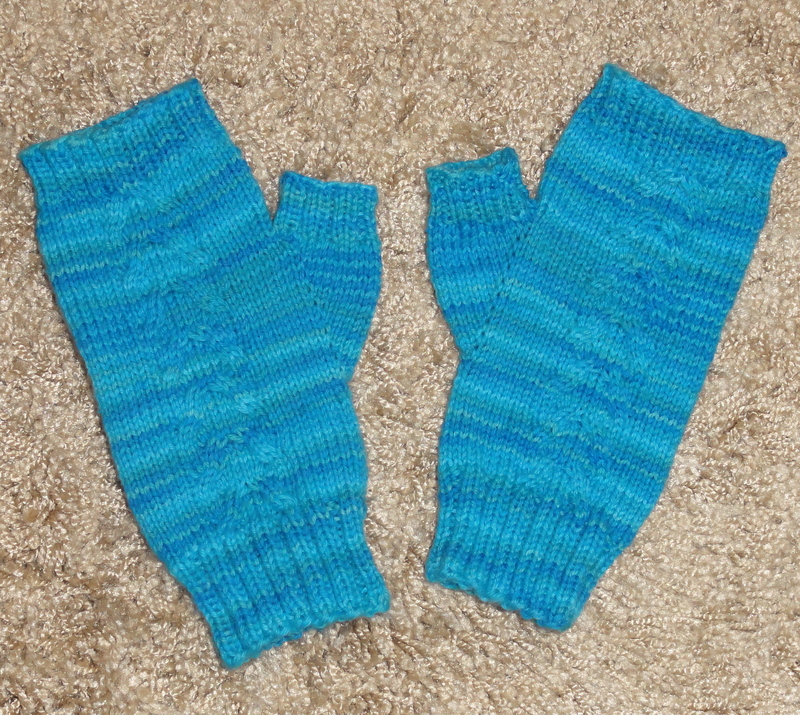 Blue Yonder right mitt joins its left sibling. This is a pretty good reproduction of the color of these mitts. 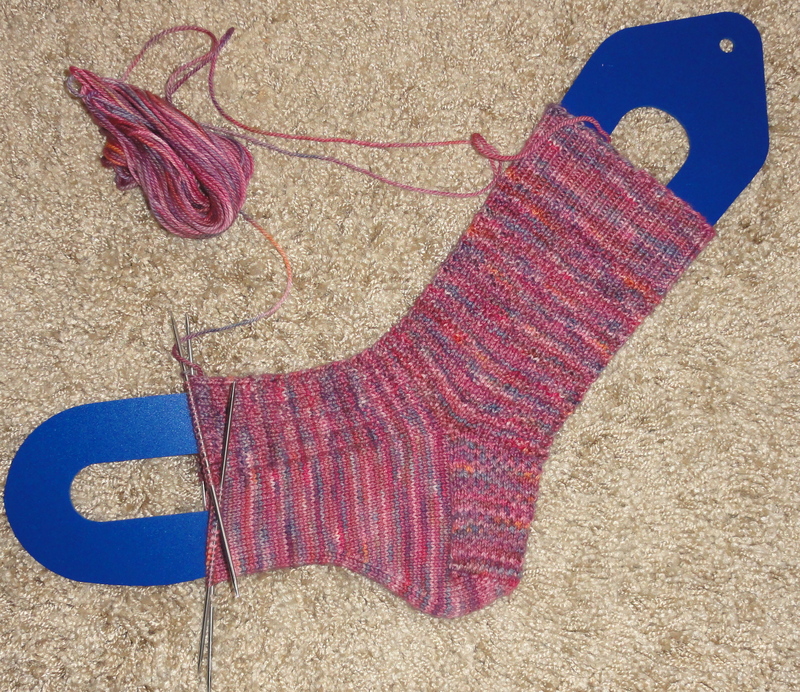 Super Soft Double Garter Rib Socks sock #1 with the gusset decreases centered on the sole. I hope I don’t run out of yarn before I finish. This entry was posted in Knitting, Socks and tagged hand knitted socks, knitting and hockey, Pittsburgh Penguins. Bookmark the permalink. The return of hockey has been such a happy thing in this household. Sadly, our team hasn’t been doing so well, but at least I’m getting more knitting time in. I love the shade of blue in the Anne sock! The season is still young, and you have a new coach. Things might settle in before too long, once the players catch on to the new system. I’m hoping so! We certainly have the necessary parts; they just need to start working as a whole.